Bensfort Bridge ResortRecord Owner? Log in. The 2013 fishing season begins at Bensfort Bridge on May 11 with pickerel fishing south of the bridge. Muskie follows on June 1, and the Bass season comes in on June 15. 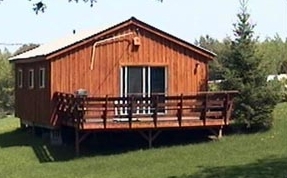 Bensfort Bridge Resort is a rustic campground where nature surrounds you providing a quiet atmosphere for rest and relaxation. Enjoy the geese swimming on the river while a heron glides gracefully overhead occasionally landing to rest on the docks. One can only smile as you watch the squirrels, chipmunks and rabbits scamper about the property collecting their treasures. For the bird enthusiast there are many different species of birds to view working away in their natural habitat. Have something to say about Bensfort Bridge Resort? 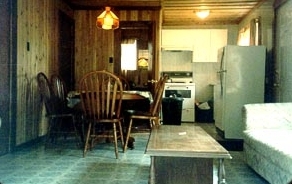 The two bedroom cottage interior has the appearance of a log cabin. This cottage does not have an inside washroom, but has washroom facilities close by. The cottage has hot and cold running water. The kitchen has a sink, stove and refrigerator. 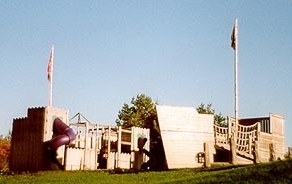 It overlooks the horseshoe pits and the river. 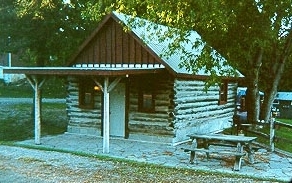 The one bedroom cottage is a log cabin. It is one large open area with kitchen, dinette and bedroom area. The 3-piece bath includes a toilet, sink and shower. The cottage interior is done in one-inch oak paneling. The patio is stone, and has a peaceful view of the river.